(VOA) Somaliland’s National Electoral Commission has released the total number of registered Voters with Identification Cards to vote in the upcoming November election. The data which was released at a news conference Tuesday put the total number of registered and eligible voters in Somaliland at 704,089. Speaking to VOA Somali, NEC spokesman, Sa’id Ali Muse said the commission has completed the distribution and the cleaning up of voter registration identification cards and released the list to Somaland’s three political parties and the minister of interior. Muse said all preparations have been made and political parties will began their campaigns soon. On November 13, voters will cast their ballots at 1,642 polling stations in 21 constituencies across Somaliland. Candidates from the only three political parties vying for the election are, Muse Bihi of the incumbent Peace, Unity and Development party (Kulmiye), Faisal Ali Waraabe of the For Justice and Development party (UCID) and Abdirahman Mohamed Abdillahi “Irro” of the Wadani party. 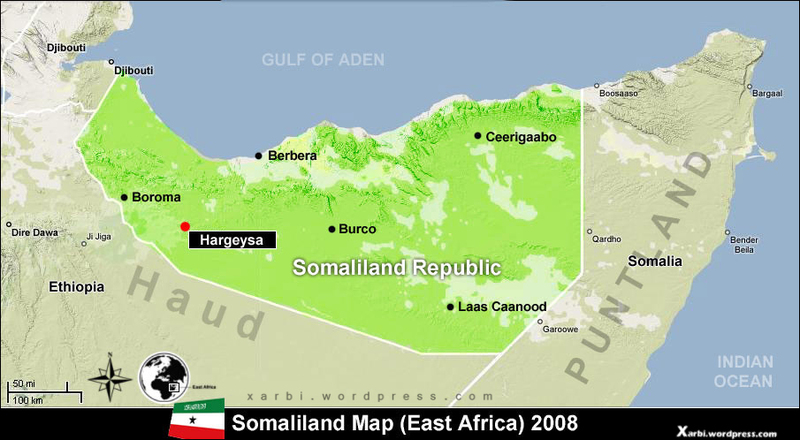 A breakaway, semi-desert territory on the coast of the Gulf of Aden, Somaliland declared its independence from the rest of Somalia in 1991, but is not recognized by the international community, leaving it in a legal limbo. Unlike, Southern Somalia, it has been enjoying a relative peace in which it has set up its own government institutions, written its own laws and constitution, and held credible elections. Since April 2003, two presidential elections, a parliamentary election and two local government elections have been held in Somaliland. In those elections, international observers praised Somaliland for bringing more democracy with less money and no international recognition. Last week, a high-level delegation of international partners visited Hargeisa to encourage all stake-holders to work together towards peaceful, inclusive and transparent elections.